Romiley Railway Station is on the Manchester to Rose Hill Marple Line and also the line to New Mills Central. 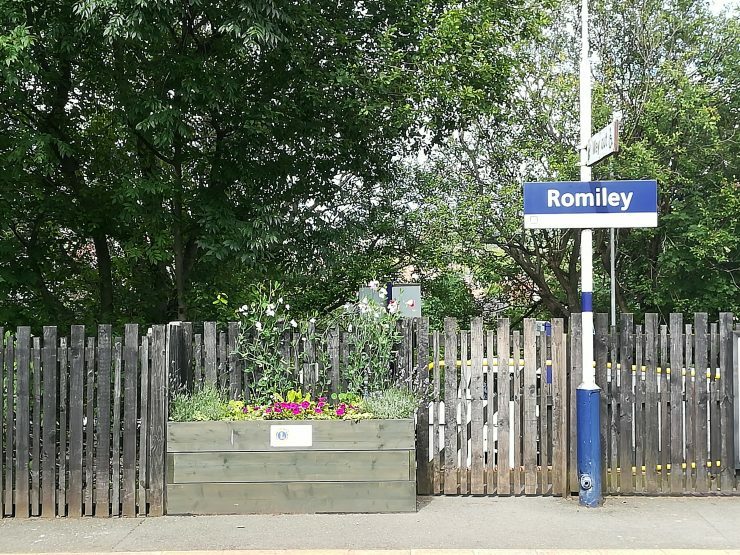 In 2018 Romiley Railway Station won the World Ward 1 Centenary Award. In 2017 the station won the Roberts Bakery Award for the Most Improved Station in Cheshire. Contact the Friends of Romiley Station through their Facebook page.